Send Money or Transact 5+ Times through Google Tez (known as Google Pay now) App & Get a Scratch Card to Win Rs 5 to Rs 1 Lakh!! 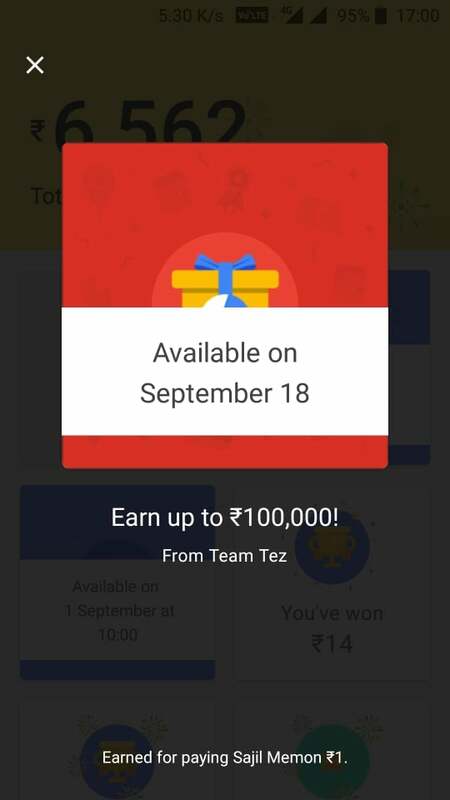 – This September 18, Google Tez App turns 1 year and to celebrate the 1st anniversary, Google Tez is offering a Scratch Card to Win Rs 5 to Rs 100,000. You just hvae to make 5 transactions till 18th September to be eligible for the offer. Task is so small and simple. You can complete it by sending Re 1 five times and this will even work for the transfer money to same user. So let’s complete it. Google Pay (Tez) Anniversary Scratch Cards are Unlocked now. It’s time to scratch and check your rewards. Just for information – Google Tez is now re-named to Google Pay. 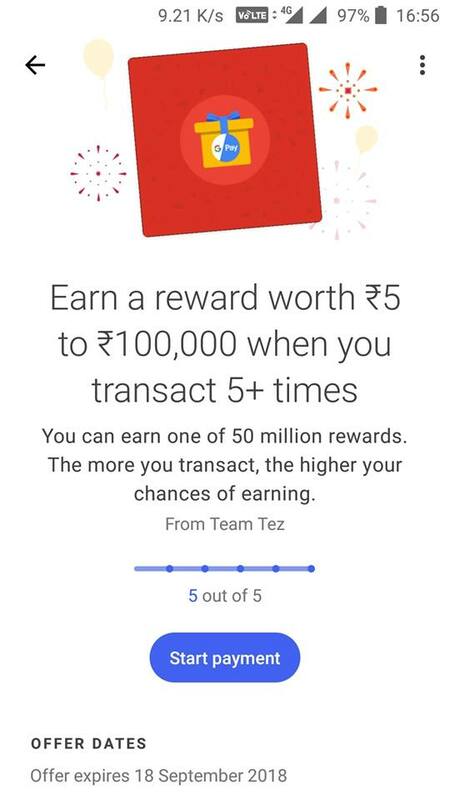 Offer: Send Money or Transact for at least 5 times through Google Tez App in the offer period to receive a scratch card using which you can win Rs 5 to Rs 100,000. Tip: The more you transact, the higher chances to win higher amount. Step 2: To avail this offer, we have to send money 5 times. You can send money to same person to complete this task. So initiate a new send money transaction and select friend or contact to whom you want to transfer money. Step 3: Enter amount as Rs 1 or of your choice and proceed ahead. Step 4: You have to enter your Bank MPIN to complete the transaction, just proceed by entering your MPIN and that’s it. Step 5: Your Send Money Transaction is Complete. Follow the same for 4 times more to receive a Scratch Card. Step 6: You can track your total transaction for this offer in the Offers section. Just scroll down and click on Offers button. 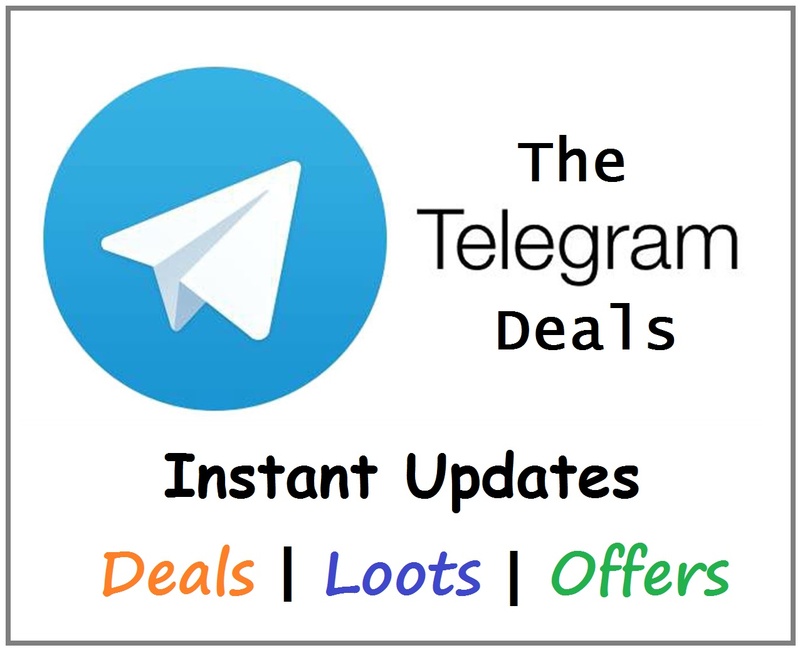 Step 7: You will see the Tez 1st Anniversary Offer. Click on it and you will see your remaining transactions to complete this offer task. Step 8: Once you complete at least 5 transactions in the offer period then you will receive the Scratch Card which you can check in the Rewards Section. Step 9: You can scratch this card on 18th September to check the reward amount you won. You will at least take away Rs 5. But if you are lucky enough then you can win upto Rs 100,000. Transact more in the offer period to increase your high amount winning chances. 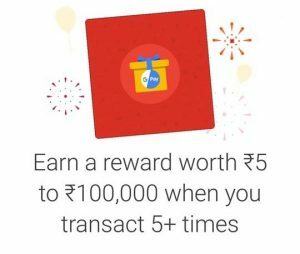 Along with this Offer, you can also combine other Google Tez Offers such as Google Tez Rs 1000 Daily Scratch Cards Offer.